This blog post originated in the 2017 Science Mission Directorate Technology Highlights Report (33 MB PDF). Earth’s ionosphere is increasingly recognized as a region of space that directly impacts the development and use of space assets for modern society. For example, changing conditions in the ionosphere can adversely affect radio communications and space-based navigation systems like the Global Positioning System (GPS). Monitoring the state of the ionosphere requires space-based instrumentation and preferably a fleet of spacecraft with identical instrumentation. CubeSats provide the capability to launch many identical platforms at a reasonable total cost, but they require miniaturized science instruments to fit within the limited size, weight, and power (SWAP) constraints. 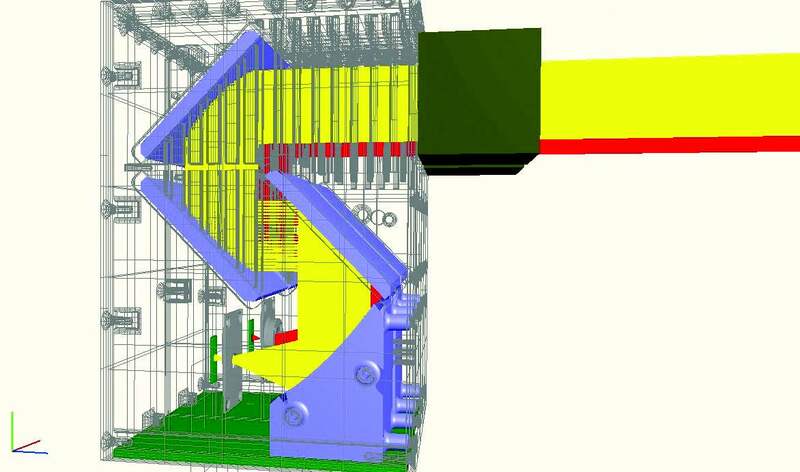 A full non-sequential ray trace was used to validate the internal baffle and optics layout prior to metal fabrication. To address these challenges, NASA is sponsoring the Compact Multi-Spectral Photometer for Space Science (COMPASS) project to develop a low-SWAP, high-sensitivity instrument capable of monitoring the composition and variability of Earth’s ionosphere and other planetary atmospheres. In collaboration with industrial partners, the team is optimizing the multilayer coating of the reflective mirrors that will enable measurements at the target far ultraviolet wavelengths (135.6 and 170 nm) and at the same time achieve good suppression at other surrounding wavelengths that would make the quantitative analysis of measurement results difficult or even impossible. NASA Explorer-class missions like the Thermosphere, Ionosphere, Mesosphere, Energetics and Dynamics (TIMED) mission and the upcoming Ionospheric Connection Explorer (ICON) have implemented large ionosphere-targeting vacuum ultraviolet (VUV) spectrographs. These large and costly spectrographs have provided and continue to provide pioneering measurements of ionospheric variability in response to solar influences. The COMPASS development addresses the recommendation in the National Academies’ Decadal Survey for “small space missions” to diversify space physics research by enabling VUV research on CubeSat-scale vehicles. COMPASS is a narrowband VUV photometer with 20 times the sensitivity of larger multi-pixel spectrographs and will complement Explorer mission VUV sensing through contemporaneous coverage of key atomic oxygen (130.4 and 135.6-nm) and molecular nitrogen Lyman-Birge-Hopfield (LBH) band emission features. A low-resource, flight-ready VUV photometer, COMPASS enables global, multi-point, and trans-hemispheric constellation missions and is capable of supporting dayside, auroral zone, and nightside measurements at modest spatial resolution. COMPASS narrowband photometry will also enable the low-bandwidth, CubeSat-based, atmospheric sensing envisioned for interplanetary missions targeting hydrogen, oxygen, and nitrogen emissions throughout our solar system. 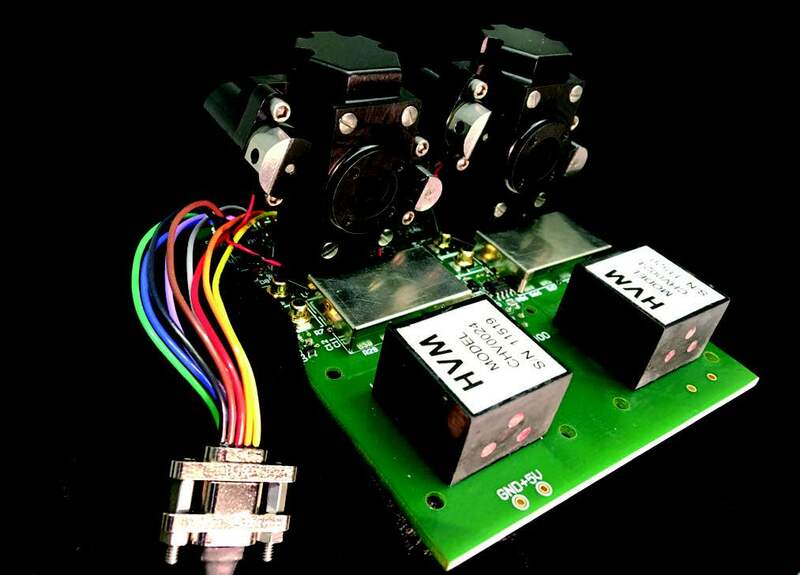 Dual VUV photomultiplier tubes with independent power supplies are located behind the folded optics on a single electronics board that communicates with the CubeSat flight computer. During the last half year of the project, the COMPASS team plans to assemble one complete prototype of the instrument. This prototype will undergo the extensive environmental testing, photometric responsivity tests, and VUV spectral characterization necessary to demonstrate ascension to TRL 5, after which the instrument will be ready for entry-level flight development to support a broad range of Heliophysics and Planetary Sciences CubeSat missions. COMPASS is supported by the Heliophysics Division via the H-TIDeS program. Dr. Harald Frey from the Space Sciences Laboratory at the University of California Berkeley is the PI. He is supported by instrument mechanical/electronic co-Investigator Dr. Rick Doe (SRI International) and optic co-Investigator Dr. John Noto (Computational Physics, Inc.).